A little bird brought this to my attention today, and now I’m bringing it to yours. J. Torres (J. Torres won the Shuster Award for Outstanding Writer for his work on Batman: Legends of the Dark Knight, Love as a Foreign Language and Teen Titans Go. He is also the writer of the Eisner Award nominated Alison Dare and the YALSA listed Days Like This and Lola: A Ghost Story.) 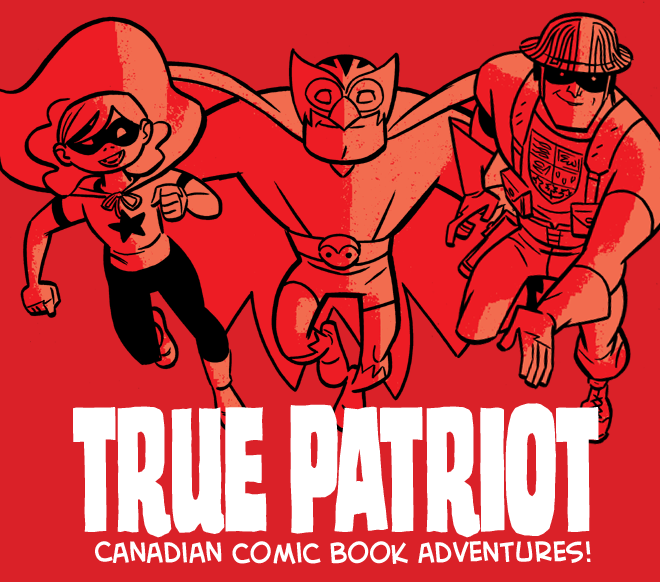 posted on his blog (here) about an anthology comic in the works that would showcase patriotic Canadian superheroes that he and some of his “Canadian comic book pals” have come up with over the years. He’s been updating, and the talent on this book is impressive: J.Bone, Ramon Perez, Jack Briglio and Ron Salas, Faith Erin Hicks, Andy B from Kill Shaekespeare, and Scott Chandler. Fun stuff, if you like comics. This entry was posted on Monday, September 17th, 2012 at 2:33 pm	and is filed under comix, News. You can follow any responses to this entry through the RSS 2.0 feed.